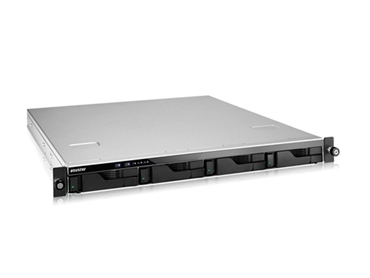 Leading innovator and provider of network storage solutions, Asustor NAS introduces the brand new 4-bay rackmount AS-204RS NAS device designed for small to medium enterprises seeking an economical option. Equipped with a powerful Intel Atom 1.2GHz dual-core processor and 1GB of DDR3 memory, the AS-204RS also comes with 2 gigabit Ethernet ports and 4 SuperSpeed USB 3.0 ports, facilitating superior file transfer speeds and flexibility for enterprise network environments. Users can also use the USB ports to attach external devices such as printers, UPS, or external hard drives. All AS-204RS NAS devices come built-in with ASUSTOR’s ADM operating system, which offers IT administrators a host of complete backup solutions and a rich variety of business applications. The maximum available storage space of 24 TB (using 6 TB hard disks) allows small and medium enterprises to meet their storage demands. According to Johnny Chen, Product Manager at ASUSTOR, with prices continuing to increase in the current economic climate, their aim is to provide users with cost-effectiveness and a competitive advantage. Key features of AS-204RS NAS devices include ASUSTOR’s ADM 2.1 (ASUSTOR Data Master) operating system, offering seamless cross-platform file sharing, 2-way backup support (Rsync, FTP, Backup Plan), Amazon S3 cloud backup, VPN encrypted connections and military-grade AES-256 bit encryption for shared folders; Intel Atom 1.2GHz dual-core processor; 1 GB DDR 3 memory; 4 x USB 3.0 (5 Gb/s) SuperSpeed ports; 1 x HDMI 1.4a port; VMware, Citrix and Hyper-V ready; supported volume types: single disk, JBOD, RAID 0, RAID 1, RAID 5, RAID 6, RAID 10; support for hard disk hot-swapping and online RAID level migration and capacity expansion; and maximum hard disk storage capacity of 24 TB (6 TBx4).